When I was serving in St James’ Church, we started the PeaceIran Project (2003) to help earthquake victims in the Iranian city of Bam. There was wide involvement from not just full-time pastors but many lay as well. The project required various skills. Most were not trained theologically or missiologically, but the work was such that there was room for many to serve. I noted that some will if they knew how. Even seemingly quiet members who were hardly involved in regular church ministry volunteered. We sometimes preach until we are blue in the face about the need for commitment and sacrifice. We give altar calls and cajole people to “surrender all”. But all along, what may be needed is wise and astute leadership that will make it possible for people to serve. People are not able to cross to the other side because the bridge has not been properly built. We can take a leaf or two from early Anglican missions work, where huge efforts were made at paving the way for people to go. In the mid-80’s I was involved in supporting the work of this missionary couple. One of them was clearly unhappy and not able to adapt to the local culture there. I also met another Singaporean couple serving in the same country but happy and doing very well. I wondered, “Will the Lord call a person to serve in a particular culture if he or she is not able to fit in?” And one sign of fitting in is joy and sense of being at home. I don’t think Missions is about one sacrificing himself or satisfying some inner guilt of not doing enough for Christ. I think such missionaries will end up being miserable. We can’t serve well in another culture if we are miserable and if each day feels like a detention, i.e. we are in a place we do not want to be. This thought is by no means a sacred Missions principle. Sometimes, a person is called to do the dreaded, i.e. prophet Jeremiah. Even so, it better be the Lord’s calling. This thought did change the way I preach on Missions, not by imposing guilt but by asking people to serve out of a sense of deep calling. And we can be glad that our personality and gifts are never too far from what and where He may call us to serve in. There was a time where some spoke negatively of short-term Mission trippers. I stand accused as well as I have been on many of such trips, including to Karachi, Manila, Riau Islands, Bam (Iran), Hanoi, Bandung and so on. But if we want more to be involved, such exposure trips can be helpful. Some trips involve strengthening an existing work. The advent of low-cost flights has made such trips easier. Some have skills that are very useful. There are some who go to Cambodia and other deaneries simply to test water wells and help make them drinkable or less harmful to humans. Using Air Asia’s tag-line “Now everyone can fly,” indeed, “Now everyone can go.” If you are bent on serving long-term, then I will say please get yourself trained and learn the language. But if you can make a difference just by being there for a few weeks to help strengthen an existing work, I will say, go for it. I can vividly recall the first Diocesan Missions Conference which Bishop Moses Tay headed. There was a clarion call for our parishes to be Missions-minded, especially in reaching ASEAN countries around us. The idea of “deaneries” began to take root. Nepal had not joined the ranks yet. It seemed such a far-fetched idea then. Indeed, in the mid-80’s, the work in most of our deaneries were slow and we faced many discouraging setbacks. It seems like the pioneering stage is always difficult. But these difficulties seem to have laid a foundation for the success of future work. 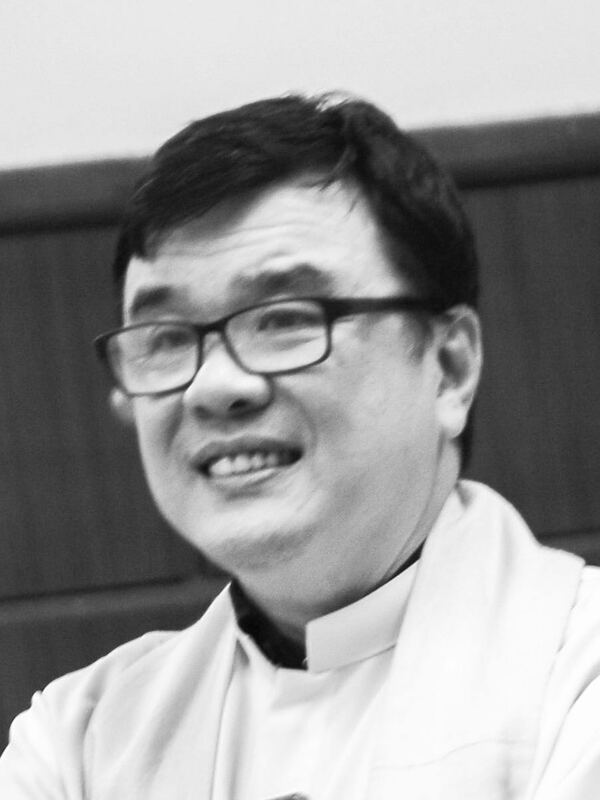 I was in Muscat, Oman, visiting some missionaries when I received news about Revd Gerry Khoo’s sudden passing away in Thailand. I remembered receiving the news with some tears. I thought then that the Anglican work in Thailand might have suffered a fatal blow. I was completely wrong, of course. “Truly, truly, I say to you, unless a grain of wheat falls into the earth and dies, it remains alone; but if it dies, it bears much fruit (John 12:24).” Amen.